If you like this game, support MiLA and BUY ME GUCCI! Feeling the ominous thud of an AT-AT stomping down on the frozen tundra of Hoth. Rebel forces firing blasters as Imperial speeder bikes zip through the lush forests of Endor. Intense dogfights between squadrons of X-wings and TIE fighters filling the skies. Immerse yourself in the epic Star Wars battles youve always dreamed of and create new heroic moments of your own in Star Wars Battlefront. Fight for the Rebellion or Empire in a wide variety of multiplayer matches for up to 40 players, or in exciting challenges inspired by the films available solo, split-screen or through online co-op. 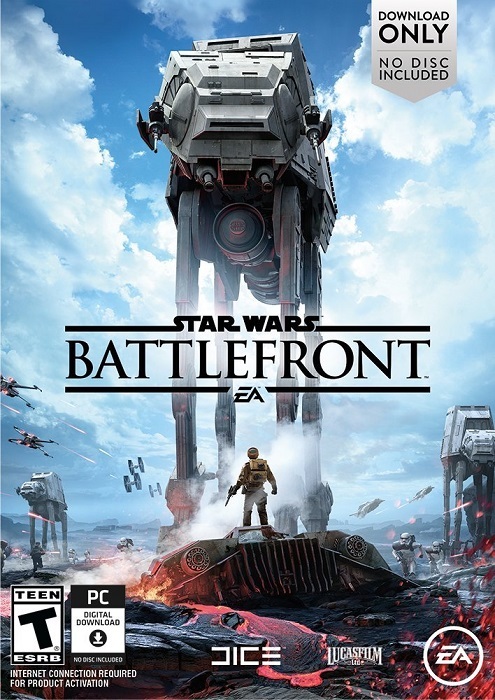 Star Wars Battlefront combines this epic action on a galactic scale with stunning visual recreations of some of the most iconic planets, weapons, characters, and vehicles in the Star Wars universe and the original sound effects from the films, to give Star Wars fans the ultimate, authentic and immersive interactive experience theyve been looking for.